In the 21st century, nary a day goes by that a security camera, paparazzo, web cam, smartphone photo, Twitter post, or e-mail doesn’t undo a celebrity, politician, or executive somewhere. An entire industry of magazines and low-budget television shows (TMZ, anyone?) testifies to the fact: we are always being watched. Did you stop by the bank or eat at a restaurant today? Smile — you’re on candid camera! Driving in your car? Cameras abound on highways and streets. Law enforcement vehicles have them built-in. If you used a credit card, proximity key card, or access badge, your location has been logged. At work and at home, computer and/or phone usage leaves a trace, too. Speaking of phones, we tend to forget that our phones connect to cellular networks periodically whenever they’re powered up, whether we’re actively using them or not. The cell towers they connect to are an indicator of one’s location — evidence that has been used in court. Even refrigerators are digital these days. The one my wife and I have keeps track of when the door is opened so that it can run the freezer’s defrost cycle at the appropriate intervals. Do you ever think about these things? I do. Not because I have anything to hide, but because I simply don’t like being monitored, especially if I’m not sure who’s doing the watching or what nefarious schemes they might be able to hatch with the collected data. The bottom line here is that in many respects, privacy seems to be a thing of the past. It’s part of the price we pay for technology and convenience, and it’s one of the darker sides to the digital age. It shouldn’t require the presence of a camera to keep an aviator from experimenting with Stupid Pilot Tricks. But let’s face it, knowing we’re “under glass” may help keep those of us with Type-A personalities on the straight-and-narrow when we’re tempted to do something that is, shall we say “on the margins” of acceptable behavior. Perhaps it’s flying a bit too low, busting weather minimums, rolling a non-aerobatic aircraft, or just a low approach with a slightly aggressive climbout at the other end. Alas, in some cases the presence of a camera seems to have the opposite effect, actually encouraging behavior that is beyond the pale. I’ve noted quite a few examples of that in the past. You can find hundreds more on YouTube. The latest example, a low pass by a Pitts biplane that appears to come within inches of persons on the ground, has been picked up by the national media. The pilot, identified as Jason Newburg, previously had an FAA waiver to do aerobatics at the airport, but the waiver expired in November, an FAA source — who requested anonymity because of the ongoing investigation — told CNN. FAA spokesman Lynn Lunsford said Thursday the agency is investigating the incident. “Even with a valid waiver, there is a requirement that people on the ground not be endangered,” he said. The irony here is that Mr. Newburg is a fairly well established airshow performer. Unlike recreational and competitive aerobatics, airshow pilots (especially those with a surface waiver) can do pretty much anything they darn well please with only one exception: they can’t put people on the ground at risk. Typically that’s interpreted as keeping the aircraft’s energy directed away from the crowd. It will be interesting to see how the FAA proceeds with their investigation. If the individuals who were so close to the fly-by are part of the airshow performer’s “team”, would this constitute a violation? The FAA’s army of inspectors and attorneys makes and interprets these rules, so only they know the answer. Regardless of which way it goes, it was clearly unwise to have a video of that sort posted on the internet because the average Joe (including the media) doesn’t understand the FAA’s national airshow program. Even if all the paperwork was in order and it was legal by the letter of Advisory Circular 91-45, FAA Order 8900.1, and FAA Form 8710-7, those things are meaningless gibberish to the general public. All they see is something that looks dangerous. It spread across the internet and onto cable channels faster than… well, than a Pitts doing a 200 mph fly-by. Think you’d never fall victim to the temptation to do something stupid while being recorded? Don’t be so sure. This kind of thing isn’t limited to intentional stunts. In an era of glass panels, portable GPS receivers, tablets, and smartphones, it’s worth remembering that if you’re got a computerized device in your aircraft, everything you do is being recorded. Your flight path, attitude information, altitude, position, acceleration, and many other parameters might be stored on silicon. Even something as simple as a graphic engine monitor will be creating log files with your power settings, fuel flows, engine temperatures and pressures, and more. They’re fantastic tools for diagnosing engine issues, but the fact that they record data can come back to haunt you if a warranty claim is required or if the FAA or aircraft owner suspect improper operation. Simple aircraft are not exempt. If you’re flying a rag wing Cub, the presence of an ordinary transponder means you’re position is being monitored and recorded onto tape by the FAA. You might think a 1200 code will protect you from identification, but as long as the device is transmitting, it’s also sending out a Mode S code that’s been assigned to that radio. Upon interrogation, Mode S transponders transmit information about the aircraft to the Secondary Surveillance Radar (SSR) system, TCAS receivers on board aircraft and to the ADS-B SSR system. This information includes the call sign of the aircraft and/or the transponder’s permanent ICAO 24-bit address in the form of a hex code. 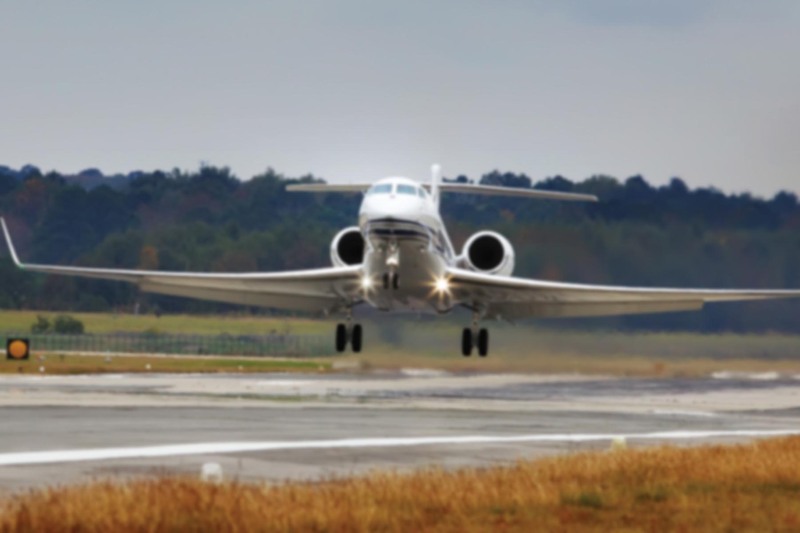 Even if you don’t have a single piece of electronic equipment in your aircraft, you’re still flying a loud vehicle that attracts attention from those on the ground. Think about that. Big Brother isn’t always electronic. Sometimes he’s a flesh-and-blood human witness. Ironically, they can be far worse than electronic evidence because unlike computers, people can take proactive action against pilots they perceive to be doing something wrong. 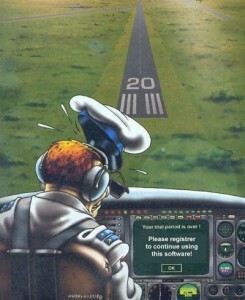 A Garmin G1000 isn’t going to call the FAA on you. At least, not yet. But a human? So don’t forget, my friends: it may not be 1984 anymore, but it’s still 1984. Whatever form he may take, Big Brother is always watching. And for electronic traces… I landed at KSTL and had a flat tire when I taxied out the next morning. The shop that helped get the plane off the taxiway said that a couple summers back they had to do the same with a Gulfstream which had landed so hard it blew out multiple tires and had to be towed off the runway. When the trucks raced out to get started the crew still had the engines powered up and it took a while for the maintenance guys to figure out that the pilots were madly erasing data, so they needed things turned on until they were done. As far as the Gulfstream is concerned, the only thing I can imagine them wanting to erase would be the cockpit voice recorder and/or a flight data recorder. Dumb idea, since they’d be in far more legal peril from doing that than for having had a hard landing. Having said that, I don’t know why they would have needed to keep the engines running. You can power the whole ship with the APU. Something about the mechanic’s story doesn’t sound right. Blown tires alone would not be sufficient cause for an NTSB accident report. That would fall under the Part 830 definition of an “incident” and not appear in the database. Without a doubt people will justify stupid behavior with fantastic levels of creativity, legalese etc. this pass was flat too close. Both to the camera and the person on the ground. If this is what is required for stunt aerobatic ENTERTAINMENT ( capitalized on purpose) pilots to justify their proficiency level then the “sport” may need a complete rethinking of its validity. This is no different that stunt motorcyclist practicing on the freeway. A stunt motorcyclist might be a little different. A freeway will DEFINITELY contain a fairly high number of unrelated “civilians”, whereas the runway where Mr. Newburg performed this fly-by MAY have only been occupied by people who were part of his show team. But either way, as you noted, this was way too close for comfort. I’m not trying to excuse the recklessness of the Pitts pilot, but I suspect he was irritated by the idiot on the ATV doing wheelies down the middle of the runway! This is only true if you have a mode S transponder. While some newer aircrat are so equiped the vast majority of the GA fleet have “old fasioned” mode A + mode C. ode A reports the code you’ve dailed in – 1200 if you’re VFR and and not working with ATC. Mode C reports encoded pessure altitude (with 300′ allowable error). The CFI who advises never fly low enough for your N number to be visible gives good advice. It is really hard to estimate alititude of an aircraft form the ground, and non-aviators will often say it was “looked like about a hundred feet” when the airplane was 1500′ or higher (i.e. legal altitude). The fact that you have an mode C transponder won’t help (no aircraft ID).